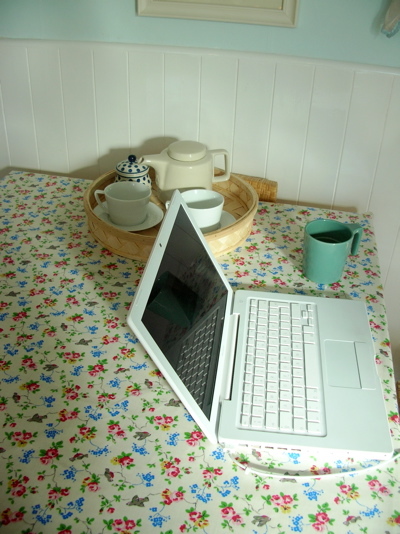 I've been wanting to show you my new wonderful, wonderful Cath Kidston oilcloth for a few days now. It arrived last week on a 5ft roll. It's only a meter of oilcloth but it arrived on a 5 ft roll. Got to love Cath Kidston. I actually left it on the roll for a good few hours because it looked so damn nice. Not as nice as it looks on the table though. See, I can still smile. You haven't beaten me yet world! At least not while there's still fantastic oilcloth or beautiful plates. Which segues nicely to my next pic. 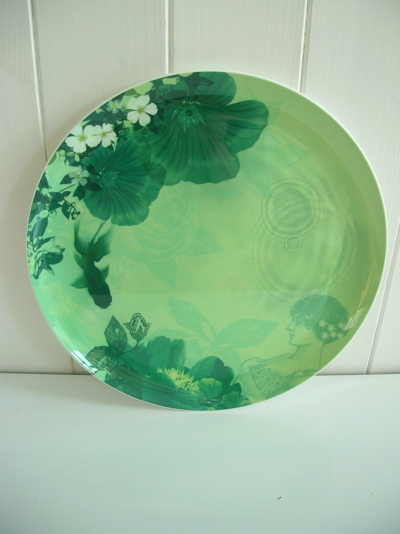 Believe it or not this little beauty is actually just a melamine plate. And it only cost £2.50! Is it not the most beautiful plastic plate that you've ever seen? I'm telling you, melamine or not, this plate's got pride of place hanging on the kitchen wall. Ahhh, and it comes in red too. I have to tell you this because it made me so proud. Bella has a friend called A that is the same age as her but a lot, lot smaller in physique. They have known eachother almost from day one, but they don't play together very often. Yesterday Bella and I met A and her mother at an indoor play centre so that the girls could tire themselves out whilst we drank coffee (if only). 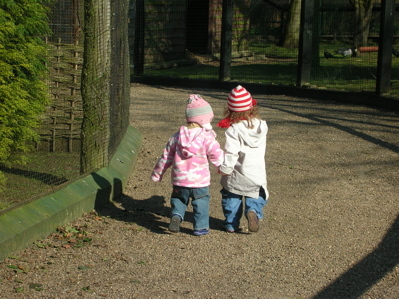 The girls were playing really well together when we realised that we hadn't seen them for a good 10 minutes. So we both climbed in to the large play area and headed to the upper level. When we got up there Bella and A were in a corner surrounded by some older children. And this is the thing that swells my heart so. Both the girls were kneeling on the ground but Bella had both her arms around A and was physically shielding her with her own body. She was completely protecting A from the older children and was actually growling at them! I can not tell you how proud I was to see Bella willing to protect another child, even though she was scared herself. It was amazing to see. She's amazing to see. Love that girl. (Even if she did slap me about a million times today whilst shouting "Bad Mummy").